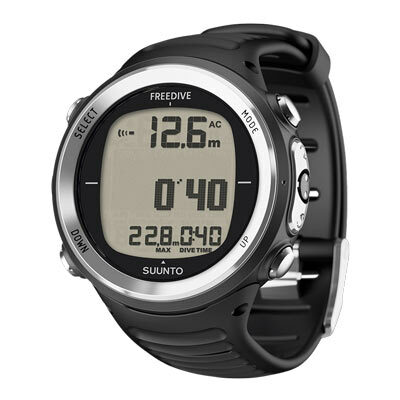 The Suunto D4f is a light yet robust freedive computer, that makes underwater sports enjoyable. When diving, the D4f displays your present and maximum depth and calculates dive time and surface intervals for you, allowing you to fully concentrate on exploring the underwater world. Use the apnea timer to improve your breathing technique. After the dive you can browse the details of your dive from the logbook. The light-weight case with stainless steel bezel and mineral crystal glass make Suunto D4f not only a trusted tool when exploring the depths, but also looks good wearing day to day. Functions very well, but not very intuitive. Have owned several dive watches, and this one requires a lot of hands on time prior to getting proficient with it. Would recommend nonetheless.